Sandie Dawe, chief executive at Visit Britain, has urged the Government to continue financially supporting its 'Great' campaign and said it would be "completely mad to walk away". Dawe’s comments came as culture secretary Maria Miller unveiled a tourism strategy that aims to unite public and private sector organisations to grow visitor numbers 29% by 2020 and boost spending by £31.5bn. Miller said: "Given the triumph of last year – the Diamond Jubilee, the Olympics and the Paralympics – we face a challenge. "Our opening and closing ceremonies gave the world the opportunity to look at Britain anew and were perhaps surprised by what they saw - a modern, diverse and creative country." A £2m partnership with Emirates to promote Britain overseas was also announced today, as part of VisitBritain’s match-funding strategy, which was made possible following a donation by the Government. However, VisitBritain’s ability to match fund is set to end soon as the tourism body approaches the end of its match-funding budget. 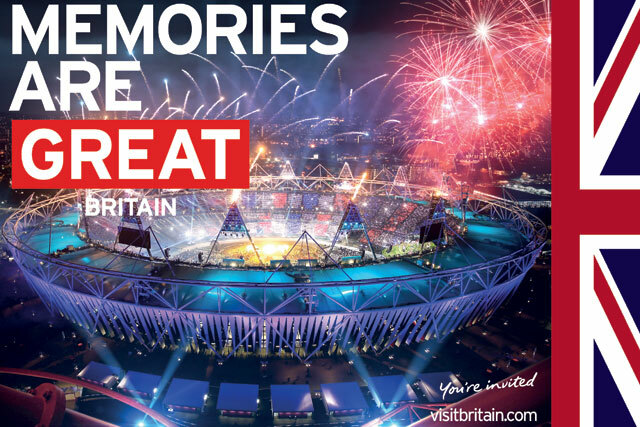 VisitBritain was also boosted by additional centralised funding due to the Olympics, and post-Olympics, Dawe says VisitBritain "doesn’t have much in the marketing budget". Dawe added that VisitBritain was in the process of negotiating its budget for 2015/2016 and said the Government drove "quite a hard bargain in terms of the outcomes they expect from us". VisitBritain claims that over two years, its marketing programme has contributed £900m to the UK tourism industry, a return on investment of 18 to 1. The tourism body is seeking to capitalise on mania for 'Downton Abbey' and strike a deal with Spotify to showcase Britain’s music heritage for the next burst of its 'Great' activity in September, according to VisitBritain marketing director Joss Croft. Discussions are also underway with unspecified broadcast partners as VisitBritain seeks to strike content deals. Croft also revealed VisitBritain would open an API on its website that will give external organisations access to its data as part of a policy of using creative ways of opening up its resources to boost tourism.